You may have heard about the Blue Zones and / or the Power 9® (Power 9 is a registered trademark of Blue Zones, LLC) . Blue Zones are places around the world where people are recorded to live longer. There are less middle-aged onset of preventable diseases like heart disease and adult onset (type 2) diabetes, and premature death. There are many people recorded in these areas that live into their 100’s (centurions). Dan Buettner is a National Geographic Fellow who has spent well over a decade researching longevity. His research, along with funding and participation from National Geographic and the National Institute of Aging, showed that there are 9 common characteristics in the “Blue Zone” communities now known as the “Power 9®”. In addition to his research, Mr. Buettner wrote a book called ‘The Blue Zone Solution‘. He believes that the lifestyles of the people in the world’s Blue Zones can be adapted and duplicated in towns across North America. As a result, Buettner launched a preventive health care project in the United States called ‘The Blue Zones City Makeovers’. This initiative has impacted the health of millions of Americans in cities like Spencer, Iowa; Albert Lea, Minnesota; and Klamath Falls, Oregon. You can read more about the project at: https://www.bluezonesproject.com/. -90% of longevity has to do with lifestyle, the other 10% or less is genetics. -All Blue Zone areas consume a cup of beans of some type per day. They also consume at least ¼ cup of greens each day and some type of fermented foods like Kimchi, Miso, or Tempeh. They snack on a couple of ounces of nuts per day. He asserts that they have good gut health as they have the appropriate ‘mulch’ (from beans) to feed healthy gut microbes. -90% to 100% of Blue Zone Diets are plant based. 65% of their diets are high in starches (so much for the low carb. diet idea). Sweet potatoes are a staple in some Blue Zones. All areas consume high amounts of whole grains. -Blue Zone meals are large in the morning, medium for lunch, and light for dinner. The old adage of: Eat like a King at breakfast, a Prince at lunch, and a Pauper at dinner holds true. -Blue Zone citizens walk often and don’t sit for more than 20 minutes or so at a time. Their lives are structured in a way that they are constantly moving. They don’t have modern technologies or other conveniences in their lives. -Longevity is not sought after in the Blue Zones. They don’t go to the gym and rigorously exercise! They also don’t take a bunch of supplements and get all of their nutrition from their foods. Centurions aren’t sure what their key to longevity is as they did not strive for it. -No cow’s milk or cheese is consumed AT ALL in Blue Zones. (Read more about my research on cheese HERE). -Isolation is harmful to longevity. Having a community that you belong to of some type creates a ‘sense of belonging’. Most Blue Zone citizens and all centurions have a group of friends that they have had for most of their lives. Buettner suggests that one should have at least 3 friends that you can count on when you are having a really bad day. 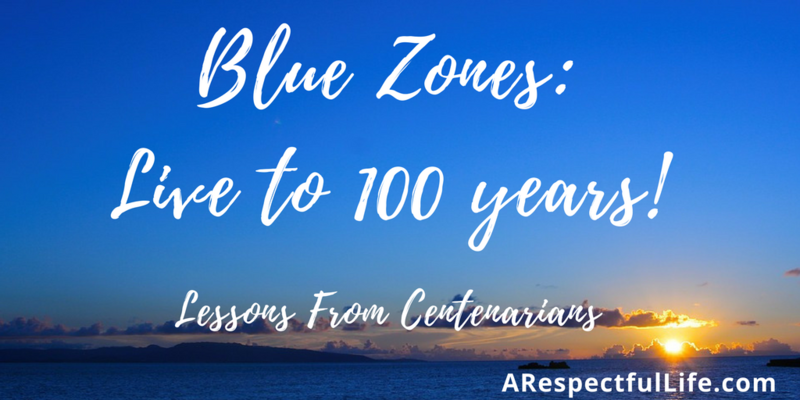 Almost all centurions in the Blue Zones had some type of faith-based community that they were part of and participated in faith-based activities or services 4 times monthly. In addition to their friends and faith-based communities, they lived near to their families and the elderly are seen as a vital part of the family unit and participate in daily family activities. In addition to following Mr. Buettner’s work, I have done countless hours of research on diet, nutrition, and lifestyle. 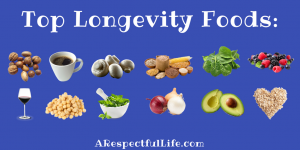 All of my research and reading leads me to believe that a whole foods plant based diet is the most nutritious diet, and will assist in longevity along with a happy healthy life without a lot of medical issues in later life. It is obvious that chronic diseases like coronary artery disease, cancers, stroke, diabetes, and dementia are a phenomenon of the Western diet, nutrition, and lifestyle. These diseases are uncommon and virtually unknown in Blue Zones. If you are curious about Blue Zones, I have additional links below. As always, please feel free to reach out to me directly if you have questions about this blog post. 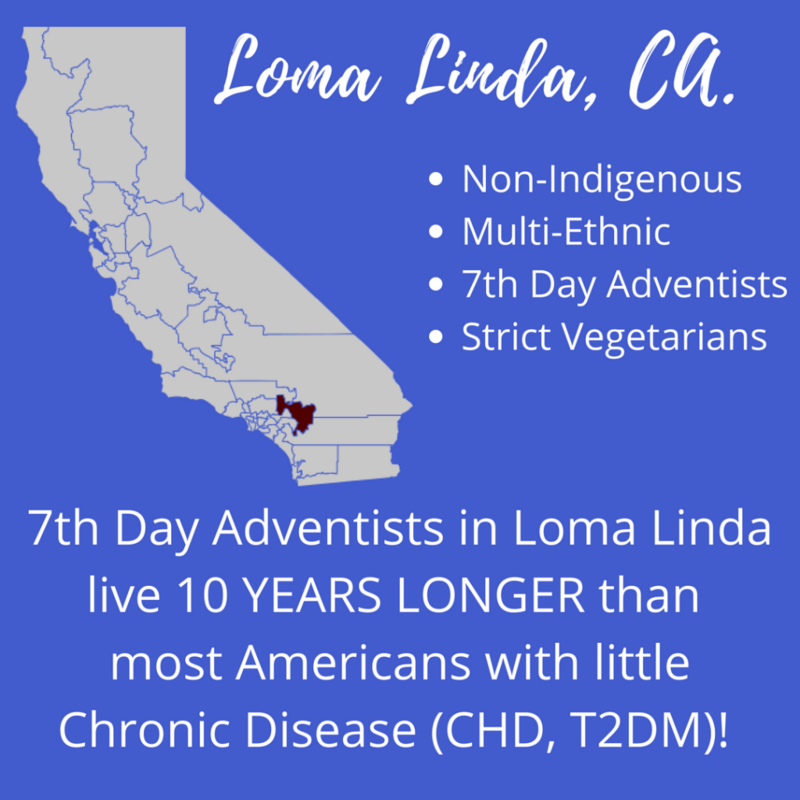 Post Update: One of the most interesting Blue Zones is Loma Linda, California. They are non-indigenous, multi-ethnic, and live 10 years longer than the average American. The reason this is so interesting is because it speaks to the fact that adhering to the Blue Zone ‘Power 9’ principals are DUPLICATABLE in other communities. One of my favorite websites for healthy nutrition is NutritionFacts.org . Please Re-PIN this on Pinterest! I do not even know how I ended up here, but I thought this post was great! A very interesting read! Thank you for turning me onto this concept. Can’t wait to read The Blue Zones book.